Previously if you wanted to create an REST API powered by a lambda you only had one choice: API Gateway. This has a few limitations notably they’re always public so you need to use IAM or similar to lock it down and you can only use a custom domain name once globally, meaning no duplicating the implementations across multiple accounts with the same host endpoint. AWS recently announced another way to create a RESTful endpoint for Lambda’s: Application Load Balancers. There isn't support for async iterators (for await...of) in Node.js v8.9 which is AWS Lambda's runtime. It's shame, as it’s a great feature that allows you to iterate over an iterable that returns as result asynchronously, i.e. retrieving another page from a database, using a compact for loop that feels synchronous but under the covers is actually done asynchronously. Which means, if you want to use a library that written specifically to use it (e.g. Amazon DynamoDB QueryPaginator), you have to use an even more verbose syntax. However with a bit of re-purposing you can use a generator function that returns a Promise and if you await each promise given in the loop it will behave like an async iterator. If you add an additional blank EBS volume to a CentOS 7 EC2 instance, it won’t auto-partition in the same way as the primary volume gets resized on launch. Additionally if your baking an image you will certainly encounter problems with it not automounting on different instance types and even manually trying to mount it can give misleading error messages. When configuring Hive to use EMRFS (i.e. s3://) instead of using the implied HDFS cluster storage of the metastore, which is vital if you want to have a persistent metastore that can survive clusters being destroyed and recreated; you might encounter this message: Access Denied (Service: Amazon S3; Status Code: 403;...). If your unfortunate enough to still be using CentOS 6 in AWS than more than likely be stumped why the root partition isn’t resizing like most other distros you launch. If you want to gather log files on your ECS hosts running a Amazon ECS-optimized AMI, then there’s instructions on how to install the Previous CloudWatch Logs Agent using cloud-init and some user data. The old Logs Agent is still supported but the new Unified CloudWatch Agent is recommended as it is touted to be faster but more importantly, allows easy collection of instance metrics. To install it, simply launch an EC2 instance using one of the Amazon ECS AMI’s, and put this in the user-data section (expand the advanced configuration of the launch wizard). 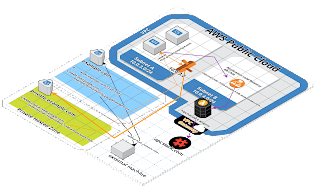 Once the EC2 instance is started up, just simply create an AMI from it, shutdown the EC2 instance and use this new AMI for you ECS clusters or for your Batch Compute Environments. With a bit of modification, this script could be used to install and configure it on the launch of each ECS instance, but having a pre-baked AMI is a bit cleaner.